How many times it has happened that you bought a share and it started to fall? If you plan to hold it for sometime than it is OK not to worry and keep adding more of it if you think the stock will eventually go up in a few days. But what if you have bought it from a trading perspective? What if you do not want to hold the stock for long? What if you bought a future of a stock and the stock starts to fall? You start to lose money immediately. The future will expire in a few days and there is no way to know if in that time frame your trade will be profitable. 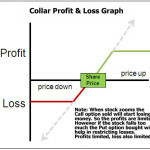 This stock loss repair strategy will help to bring the stocks price down, and not eliminate the losses. If you can bring the stock value down – you are averaging its cost and if it goes back to its original buy value – you can make a profit. Some of the time it will happen, some of the time it won’t. Therefore the risk is yours. However I recommend that you read this strategy and understand how it works. 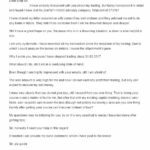 If you do not understand anything or want to share something with other visitors of this blog, please share your thoughts in the comments section below. When do you implement the stock repair strategy? When the stock you bought has fallen to an extend where you are not comfortable holding it. 2) Implement the Stock Loss Repair Strategy. Lets suppose you bought Nifty Future at 6000 hoping that Nifty will go up. But Nifty started to fall. It has reached 5800. Right now your losses are 6000-5800 = 200 * 50 = Rs. 10,000.00. You are uncomfortable holding the trade but somehow you feel that Nifty will go up. You can then implement the stock repair strategy. You buy one ATM (at the money) call option, and sell two OTM (out of the money) call options. You just implemented the stock loss repair strategy. Note: By implementing this strategy please do not think that all losses are eliminated. The downfall risk is still there. Which means that if the stock continues to fall, you will lose money. However by implementing this strategy you have reduced the cost price of buying the stock/future. And by reducing the cost price you have given yourself more chances of making money. You see your account got credited by 3000. Which means right now you are only losing 10000-3000 = 7000. This means effectively you have brought down the buy price of your Nifty future by 60 points. How? 3000/50 = 60. It also means you have now a long Nifty future bought at 5940 and not 6000. If by expiry Nifty does not move anywhere you will lose only 7000 (plus commissions) and not 10000.00. Well you may recover your money if by the end of expiry Nifty reaches 5940. In fact if Nifty expires above 5900 you will end up making a good profit. Remember that 6000 was your initial buying cost, and because of this strategy you can make a profit even at 5900. But there is a twist. We will see what it is. But before that an Important Note: Please do not get excited. This is not a golden strategy. Please do not repair an already repaired stock. What I mean is that if your stock keeps falling even after repairing, you got to take a stop loss. If you think you can buy another call and sell two more calls to reduce your buying cost even further – then you are doing a trading blunder. If you do so you will be naked one call sold. (4 calls sold, 2 calls bought and one long stock). If your stock does not reverse, you are fine. But if it reverses (more often than not it happens), you will be at unlimited loss in the naked sold call. So please do not over trade. Just exit if the position if its not comfortable to hold. And that is the best adjustment you will do. The downside risk is still there. That is if Nifty keeps falling even after the stock loss repair strategy is implemented, you should consider quitting the trade. No point in calculating the losses as the stock can go to zero. Just keep in mind that you should have a Max loss in mind. If that is hit, just take the stop loss. You are still better than people who did not do the stock repair strategy. Your losses were reduced by Rs. 3000.00. Now lets see what happens if the stock reverses the direction. Stock bought at 6000. Stock repair strategy done at 5800. If Nifty expires here, others with the same strategy lose Rs. 10,000.00, you lost only Rs. 7000.00 as you gained 60 points overall due to the strategy. 3000 saved. Note: Had you not implemented the strategy, you would have lost 5000 if Nifty expired at 5900. But here you make a profit. 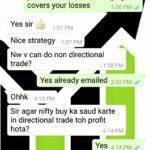 Note: Had you not implemented the strategy, you would have made no profit and no loss if Nifty expired at 6000. (Actually you would have made a small loss because of the commissions involved in so many transactions. Do not ignore the commissions.) But here you make a profit. Note: Had you not implemented the strategy, you would have made 5000 if Nifty expired at 6100. But here you make less profit. And that is the cost you pay because you got nervous and implemented the stock loss repair strategy. Needless to say you will not make any more profit than Rs. 3000.00 anything above 5900. The two sold calls will eat all the profits and you will have a limited profit of 3000.00. That is the trade off. If you are happy with that limited profit, you should implement the strategy or wait for the stock to reverse. We all know hoping that the stock will take the direction of your trade is a useless hope. It seldom works if ever. Stock repair strategy is great if you are losing money on a stock and feel that it may reverse soon but not much. If it does, good for you. Else you should exit if it hits a point where you feel uncomfortable. Feel lucky that you still lost less just because you implemented the strategy. So, have you ever implemented the stock loss repair strategy. What was the result? thanks for your all posts. Manish you can buy out of the money calls. These will cost you less. Even if it falls you lose less. Hope that helps. Another Wonderful Strategy out of the quiver of an Option Master!